Awards in Hollywood, Courage Best Original Song, Festivals and Radio Play! 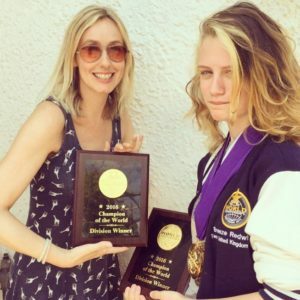 Some exciting news ~ my incredibly talented student Breeze has just returned from LA where she won many awards at the World Championships of Performing Arts, an international performing arts talent competition in Hollywood! Among her many awards, Breeze won 4 Gold, 2 Silver and Overall Champion twice. She also won an Industry Award, meaning she is most likely to make it in the music industry. I’m also really proud that ‘Courage’ her recent debut single that I wrote, won Best Original Song. As a songwriter, to gain recognition for your songs is the biggest thrill. 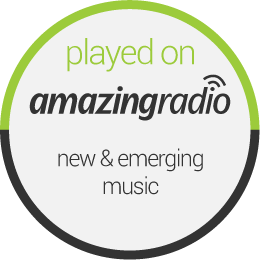 Courage was also recently played on BBC Introducing so it’s all really exciting that the song is continuing to receive recognition. 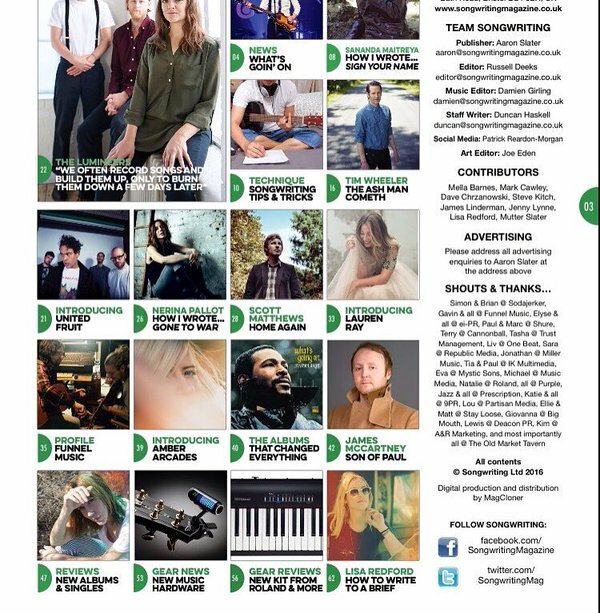 One of my columns, writing to a brief, is also included in the excellent summer issue of Songwriting Magazine which also includes features on The Lumineers, Nerina Pallot, Scott Matthew and tons of tips for musicians. 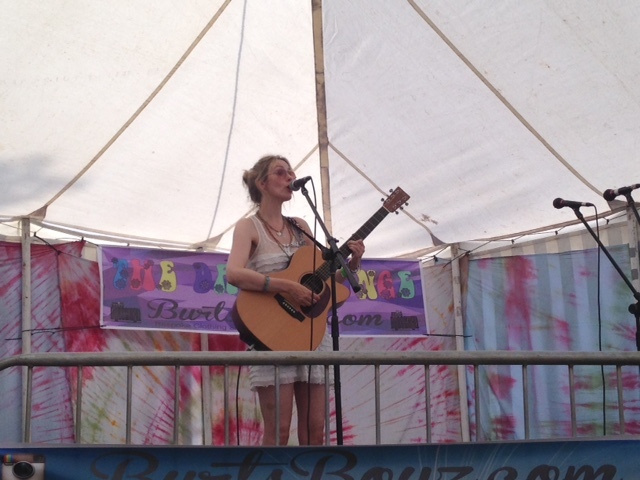 Festival season is in full swing and I started my festival appearances by playing again at Dubs in the Hall festival in the beautiful surroundings of Holt Hall. There’s always a lovely family atmosphere there. Another festival with a wonderful atmosphere is Latitude which was excellent as always and so much fun on a particularly sultry day and evening. Among the many exciting and eclectic bands I saw, the highlight was seeing one of my favourite bands New Order headline on the Sunday night, my legs were very tired afterwards from dancing! Upcoming festival appearances include another VW festival, White Noise near Thetford where I’ll be closing the Woodland stage on Sunday 7th August. White Noise is the first VM and music festival established in Norfolk over 13 years ago and is a truly independent festival that celebrates diverse live music and provides many free creative activities for children. 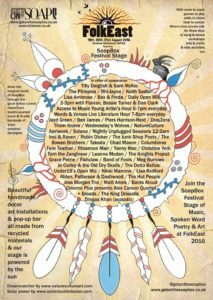 On August 21st I’ll then be playing on the Soapbox Stage at Folk East which is held at the picturesque Suffolk estate of Glemhall Hall. Described by The Guardian as “one of the best world music, roots and folk festivals in the UK, for 2016” Folk East is in its fifth year and among its usual exceptional headliners in the world of folk and roots is Eliza Carthy who I supported at OPEN last year. I’m really excited to be performing on The SoapBox Stage for the first time as the stage, run by creative producer Amy Wragg, an independent Music & Spoken Word promoter, is renowned for showcasing a mix of new and established artists.